Most people arrive late in the evening in Kota Bharu. It's good to have a reservation at a good Hotel. Here are the best hotels in Kota Bharu for a good night sleep at very low prices per night. 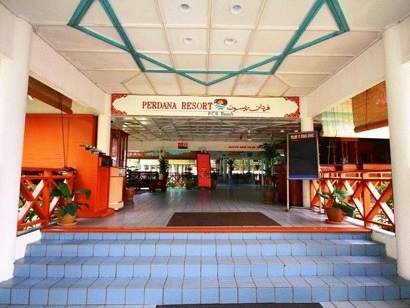 Note: the Perdana Beach Hotel is outside Kota Bharu at the beach. The other hotels are in town! 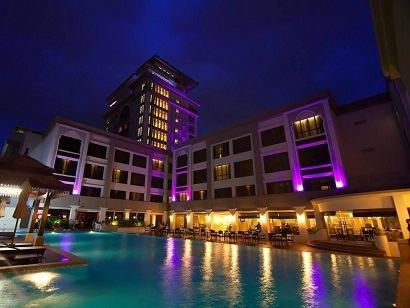 This luxurious business class hotel, situated on the Kelantan River, is within walking distance of the financial district. Guests will also enjoy walking access to shopping malls, business areas, and cultural attractions. 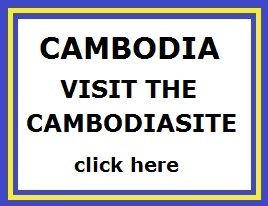 There are also hosts of unique tourist attractions within close proximity. The hotel boasts modern guestrooms that are equipped with useful amenities and feature a modern design theme that is a mixture of traditional and modern influences. The hotel is also equipped with the largest ballroom in the city, perfect for conventions, exhibitions, and business meetings. The Grand Riverview Hotel is the perfect property for guests who want comfortable surroundings, a unique location, and a wide array of on-site facilities. 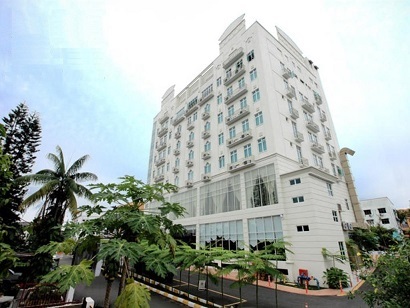 Situated in the heart of Kota Bharu's commercial area, this hotel is the city's only 5-star accommodation and a popular conference and wedding venue. Uniquely designed to reflect rich Malay culture with services catering to both business and leisure travelers. Hotel is within close proximity to main tourist attractions such as the Batik/Songket Center, Siti Khatijah Central market, and entertaining night markets. These destinations are easily accessible by bus at the Langgar station or train at Wakaf Bharu. For guests wanting to spend time within the hotel, the Renaissance Fitness Center is Kota Bharu's largest gymnasium, fully equipped with modern facilities. Renaissance offers a fabulous variety of restaurants including Dynasty Chinese Restaurant and Palm Terrace Caf�, with an a la carte menu and buffet. 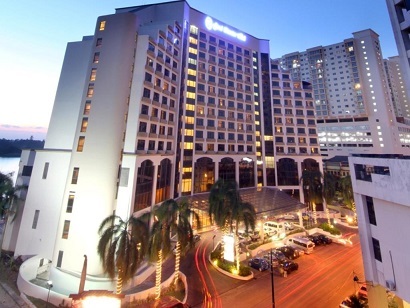 Renaissance Kota Bharu Hotel surely is a high class hotel in the commercial and shopping district. Staying true to their unique no-frills concept, Tune Hotel � Kota Bharu City Centre Kelantan provides you a good night�s sleep at an outstanding value. The hotel comes with high quality beds, power showers, and a 24-hour security system and are conveniently located near transportation hubs and popular local attractions. Unnecessary costs are kept at bay by eliminating facilities that you might not need, such as swimming pools, gyms, and spa rooms. 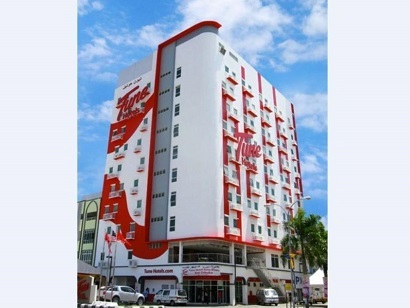 Tune Hotel � Kota Bharu City Centre Kelantan is centrally located in the shopping district of Kota Bharu. From here, you have easy access to all that this lively city has to offer. For a taste of culture, you can visit nearby attractions such as Gelanggang Seni Cultural Centre, Siti Khadijah Market, Chinese Beijing Mosque, or Wat Phothivihan to see the biggest reclining Buddha statue in Malaysia. Pantai Cahaya Bulan, or Moonlight Beach, is also nearby - the ideal place for picnics, camping, and relaxation. Beach activities like snorkeling and diving can also be enjoyed at Pulau Perhentian, accessible with the public taxi service. This unique design resort, located on Pantai Cahaya Bulan Beach, is nestled in the northeast corner of Malaysia. This exotic beachfront resort is constructed of timber and features a distinctive Kelantan architectural style that is beautifully adorned with modern accents. The resort boasts 117 modern chalets that are decorated in soothing pastel hues of pink, green, and blue, offering a visually peaceful ambience. Most of the chalets view the verdant shores of the ocean, while some have alluring lagoon vistas. The on-site Senangin Restaurant features a delicious a la carte menu offering a unique compilation of Kelantanese cuisine. Perdana Resort is the ideal property for guests who want an exotic seaside location and distinctive chalet accommodation. 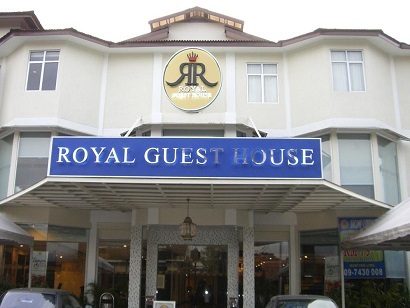 Royal Guest House Kota Bharu, located in Kota Bharu City Centre, Kota Bharu, is a popular choice for travelers. From here, guests can enjoy easy access to all that the lively city has to offer. A haven of rest and relaxation, the hotel will offer total renewal just steps away from the city's numerous attractions such as Royal Museum, Istana Batu, Istana Jahar. Offering hotel guests superior services and a broad range of amenities, Royal Guest House Kota Bharu is committed to ensuring that your stay is as comfortable as possible. Guests of the hotel can enjoy on-site features like free Wi-Fi in all rooms, Wi-Fi in public areas, car park, family room, laundry service. The hotel features 45 beautifully appointed guest rooms, many of which include air conditioning, desk, mini bar, telephone, television. Besides, the hotel's host of recreational offerings ensures you have plenty to do during your stay. When you are looking for comfortable and convenient accommodations in Kota Bharu, make Royal Guest House Kota Bharu your home away from home. 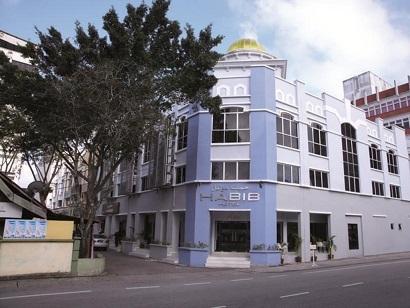 Well-placed in the sightseeing, culture, shopping area of Kota Bharu city, Habib Hotel Kota Bharu provides a most conducive spot for you to take a break from your busy days. Only 7 km away, this 2.5-star hotel can be easily accessed from the airport. Also within easy reach are Muzium Negeri Kelantan, Kelantan State Museum, Temple & River Tours. Offering hotel guests superior services and a broad range of amenities, Habib Hotel Kota Bharu is committed to ensuring that your stay is as comfortable as possible. Guests of the hotel can enjoy on-site features like free Wi-Fi in all rooms, 24-hour front desk, Wi-Fi in public areas, car park, airport transfer. Step into one of 32 inviting rooms and escape the stresses of the day with a wide range of amenities such as television LCD/plasma screen, internet access � wireless (complimentary), non smoking rooms, air conditioning, wake-up service which can be found in some rooms. Besides, the hotel's host of recreational offerings ensures you have plenty to do during your stay. When you are looking for comfortable and convenient accommodations in Kota Bharu, make Habib Hotel Kota Bharu your home away from home. Whether you're a tourist or traveling on business, Crown Garden Hotel is a great choice for accommodation when visiting Kota Bharu. Only 15 km away, this 3-star hotel can be easily accessed from the airport. With its convenient location, the hotel offers easy access to the city's must-see destinations. At Crown Garden Hotel, the excellent service and superior facilities make for an unforgettable stay. The hotel offers access to a vast array of services, including free Wi-Fi in all rooms, 24-hour front desk, facilities for disabled guests, luggage storage, Wi-Fi in public areas. The hotel features 80 beautifully appointed guest rooms, many of which include television LCD/plasma screen, internet access � wireless, internet access � wireless (complimentary), air conditioning, wake-up service. The hotel offers many unique recreational opportunities such as garden. 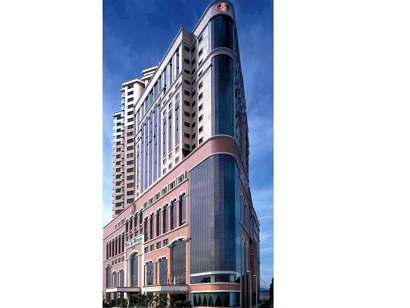 Crown Garden Hotel is your one-stop destination for quality hotel accommodations in Kota Bharu. If what you're looking for is a conveniently located hotel in Kota Bharu, look no further than Hotel Perdana Kota Bharu. Set 1 KM from the excitement of the city, this 5-star hotel commands an excellent location and provides access to the city's biggest attractions. With the city's main attractions such as Pusat Rawatan Islam An-Nisa Hospital, Sultan Muhammad IV Stadium, War Museum within close reach, visitors to the hotel will just love its location. At Hotel Perdana Kota Bharu, the excellent service and superior facilities make for an unforgettable stay. A selection of top-class facilities such as 24-hour room service, free Wi-Fi in all rooms, 24-hour security, convenience store, daily housekeeping can be enjoyed at the hotel. Step into one of 272 inviting rooms and escape the stresses of the day with a wide range of amenities such as television LCD/plasma screen, internet access � wireless, internet access � wireless (complimentary), non smoking rooms, air conditioning which can be found in some rooms. Besides, the hotel's host of recreational offerings ensures you have plenty to do during your stay. When you are looking for comfortable and convenient accommodations in Kota Bharu, make Hotel Perdana Kota Bharu your home away from home.